If you love Regency romance, you must give this book a look! There are three fantastic stories by three fantastic authors. 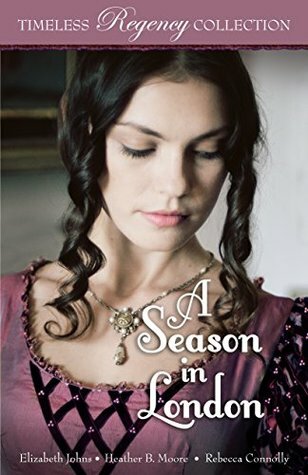 Each story felt fresh and new and maybe just a bit off the beaten regency path- especially the last one. I've never read a regency quite like that one before. I really enjoyed all three books. They were easy to settle in with and made me smile. I just love these Timeless Collection books. I know just what I'm going to get with them- clean romance, no matter the genre, by authors I know and love. Once in awhile I'm introduced to an author new to me, which is also fun. It's nice to get a variety of authors and stories.